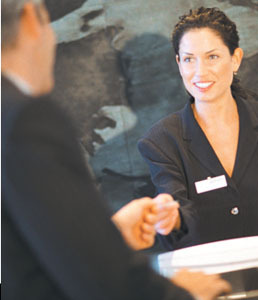 Solutions For Hospitality - Electronic Communication Services, Inc.
Mitel Hospitality Solutions deliver advanced communications that enhance the guest experience, improve customer service, and optimize operational productivity and costs. The foundation of these solutions starts with Mitel IP communications applications and platforms providing the best hotel phone systems in the industry. A long-established and proven provider of hospitality-specific hotel phone systems & communications, worldwide. Mitel Hospitality Solutions are installed in the United Kingdom, the Middle East, Asia-Pacific, Canada, the United States, the Caribbean, and Latin America. In the United States, Mitel is an approved manufacturer of phone systems for many of the Top 10 hotel companies. "I do not look for other bids to beat their costs, I want the best product and service I can count on day in and day out. This team delivers, no matter what...."
Mitel has a dedicated hospitality sales and marketing team to work with hotel and management companies, consultants, and industry associations. Mitel’s Hospitality Specialist program members are a dedicated group of channel partners who have met key criteria to participate in the program to sell, install, and service hotel phone systems. Mitel’s portfolio of IP communications platforms has hospitality-specific feature sets and tailored applications that enable hoteliers to implement IP solutions at their own pace to best meet their customers’ needs. Mitel Professional Services offer a complete range of advanced services designed to address unique business and operational needs and ensure that an end user is able to maximize their investment in a Mitel solution. Mitel’s standards-based solutions enable third-party applications like call accounting, guestroom phones, property management systems, and SIP products to interface with Mitel systems, and with our developer's programs offering tailored HTML content for Mitel IP desktop phones, ensures the Mitel solution can be a complete solution. Combine all of the above with a built-in migration strategy that protects your investment for years to come, and YOU will agree, Mitel solutions are a wise investment. Our coverage of the region, from Buffalo, NY to Cleveland, OH and our home base near Erie, PA, allows ECS to be the #1 solution for hotel phone systems from Mitel. We encourage you to contact us today to learn more about how our phone systems can benefit your company.